Invades habitats rapidly and is very adaptable, able to tolerate a variety of environmental conditions. Mexican petunia can also resprout from crowns or rootstocks when cut back or killed back by frost (Center for Aquatic and Invasive Plants). An evergreen perennial that forms colonies of stemmy stalks standing 3 ft in height. Leaves are dark green and arranged oppositely at the nodes. 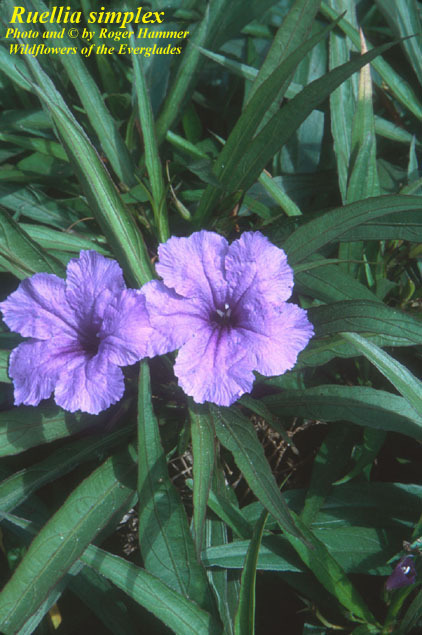 The lance-shaped leaves are to 6-12 inches in length and 1/2-3/4 in wide. 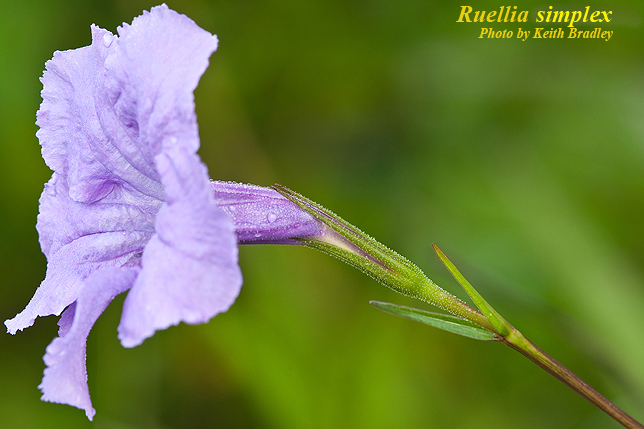 Flowers have 5 petals, are metallic blue to purple in color, and trumpet shaped, about 2 inches in diameter. 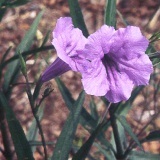 Look for blue-purple flowers on long stalks. Dwarf mexican petunia is a smaller variety of this invasive plant, usually less than 1 foot tall. May have been introduced as an ornamental plant. Observed along the Florida coastline around 1933 (Center for Aquatic and Invasive Plants). Found throughout the state of Florida; mainly central and southern. Do not plant in the landscape. Hand-pulling and removal of plants is suitable for small groups. Aggressive tillage and mowing may also be effective. All vegetative material must be removed to prevent regrowth. A follow up removal may be necessary.